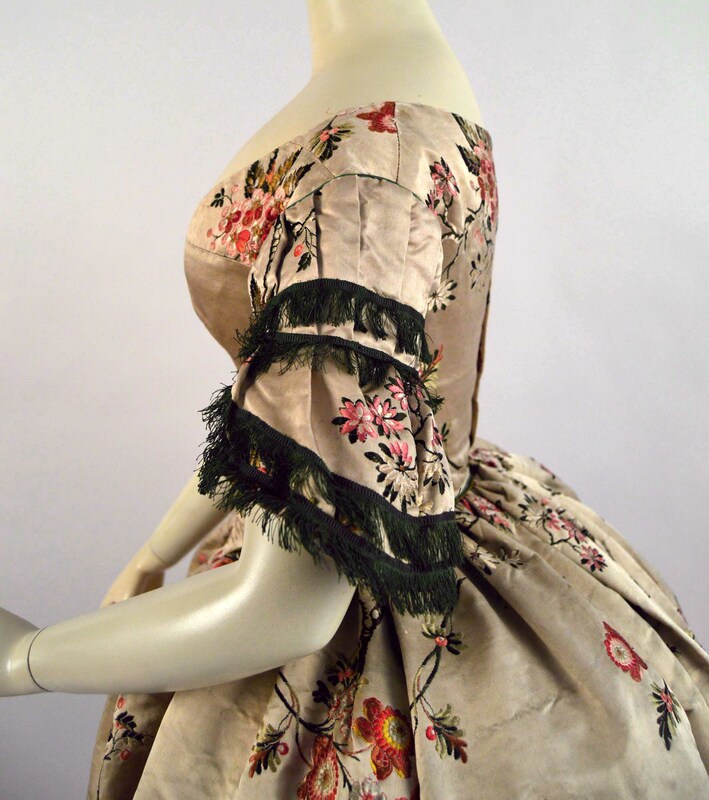 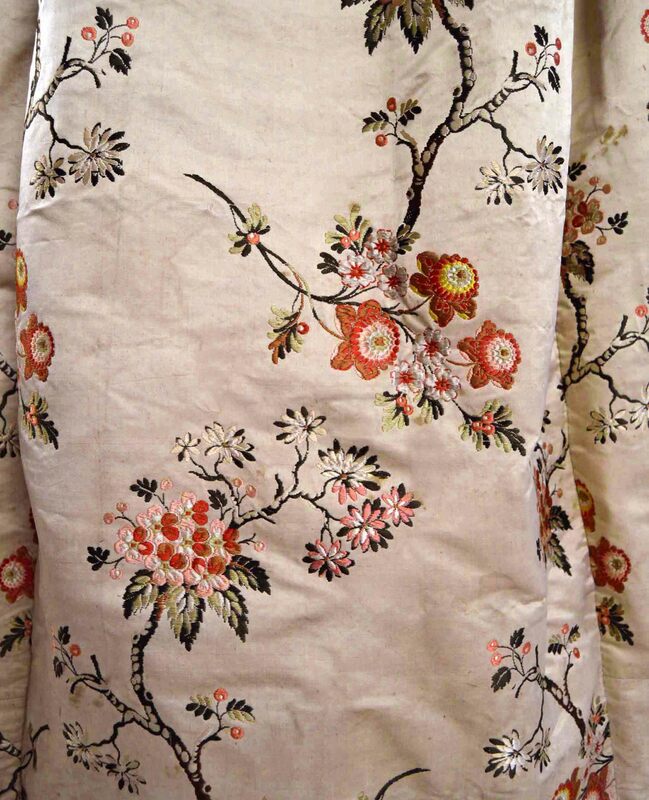 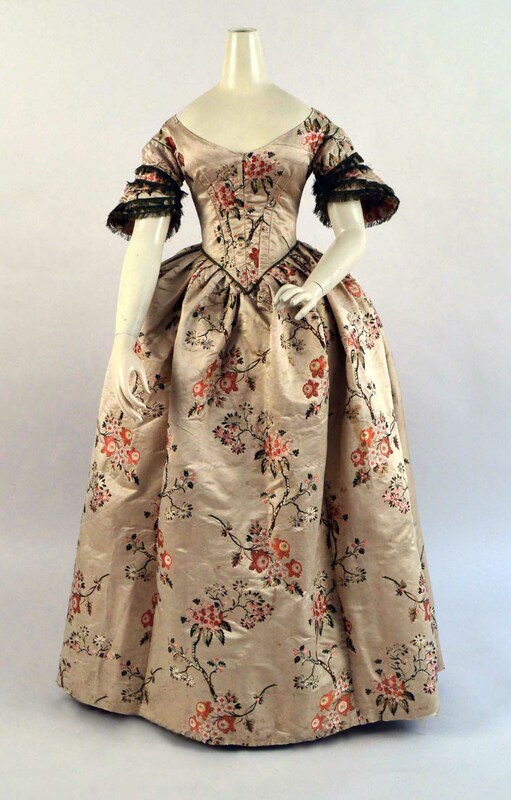 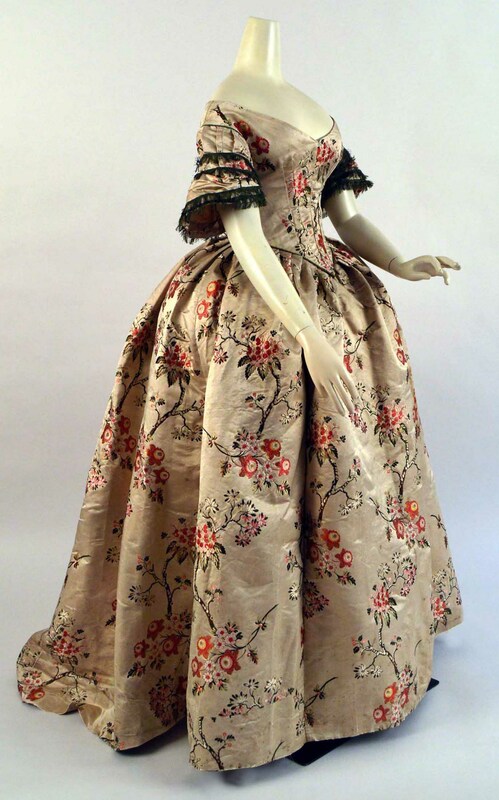 Evening dress of brocaded ivory silk satin with flowering branches in cerise, pink, brown, cinnamon, yellow, ivory and grey–green. 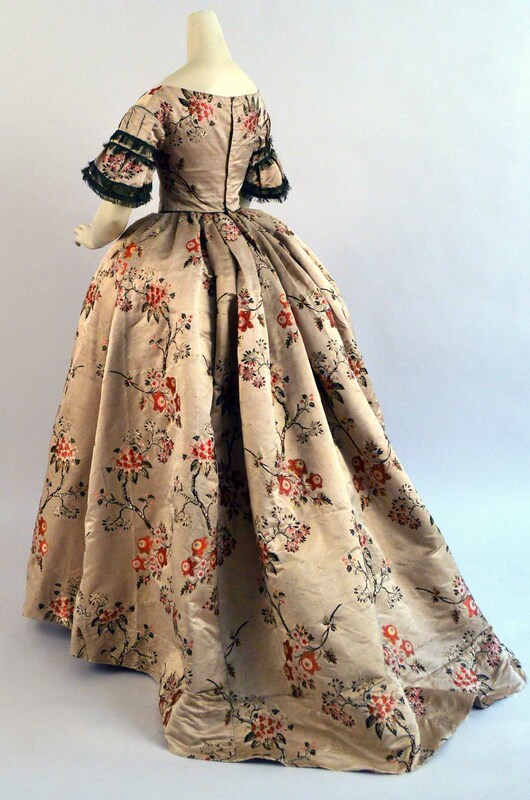 Re–made from an 18th–century dress. 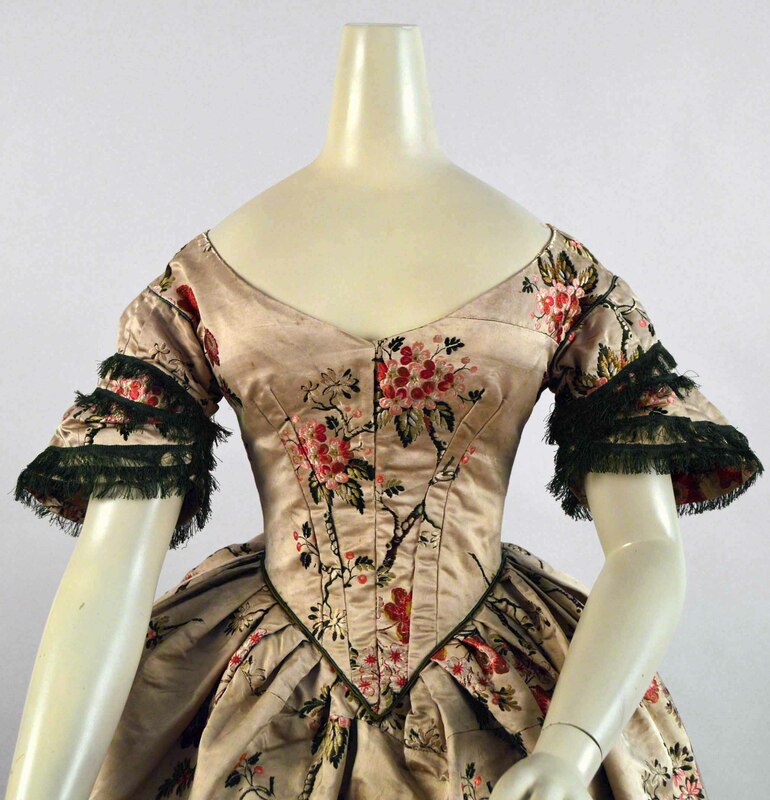 Fitted bodice with wide neckline and boning at V–shaped front; short sleeves trimmed with dark olive green silk fringe; full skirt; dark emerald green silk piping around armholes; emerald and dark olive green piping around waist; center back hook closure.